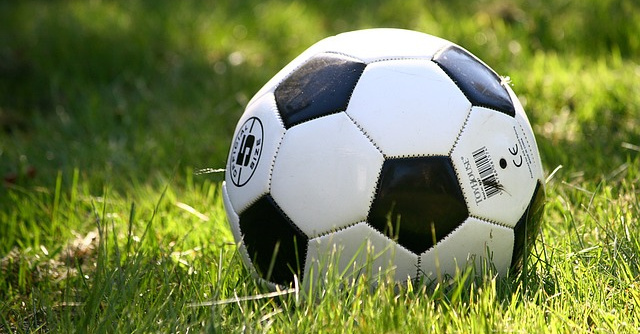 Grab your tickets to see the San Jose Earthquakes soccer team in action. They are one of the original teams of the MLS and played against D.C. United in the first game of the league's history. I've only had the chance to go to one game, but it's easy to get there from San Francisco or anywhere in the Bay Area. The Avaya Stadium is about 10 minutes north of downtown San Jose and right next to Mineta International Airport. 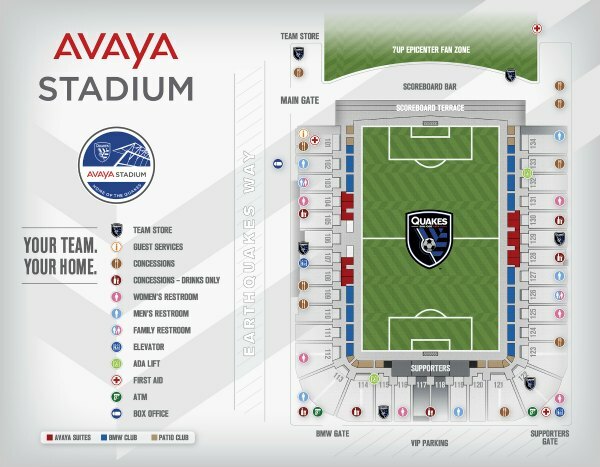 Read on to find information about the Earthquakes' home games, ticketing details, and tips to attend a game. The San Jose Earthquakes soccer season runs from March to October with some preseason games in February. They host 17 home games every year. Below you will find a list of games they play at home in 2019. The best place to look for tickets to the San Jose Earthquakes soccer games is on Ticketmaster. They are the official seller of tickets to these games. Click here to visit Ticketmaster and find tickets. Scroll down to the stadium map below for a look at seating at the games. If you have a car, you can also stay in downtown San Jose. You will find a variety of options here, including The Fairmont, The Westin, and The Hilton. Click here to find a great place to stay in downtown San Jose. The San Jose Earthquakes (originally the San Jose Clash) are one of the 10 charter clubs of Major League Soccer. In fact, they participated in the very first game in MLS history in 1996, defeating D.C. United 1-0. The Quakes compete in the Western Conference, along with their rivals, the LA Galaxy, whom they beat in overtime to win the 2001 MLS Cup. The team holds one other MLS Cup from 2003. In addition, the team won the Western Conference title in 2005 and 2012. The Quakes briefly moved to Texas in 2005, becoming the Houston Dynamo, but returned to play in San Jose in 2008. The team has played in many different stadiums over the years, including Kezar Stadium in SF, Stanford and San Jose State Universities, and the Oakland Coliseum. When the Avaya Stadium was built in 2015, it was the first ever pro soccer-specific stadium in the Bay Area. The name Earthquakes came from a newspaper contest in the San Jose Mercury News, which received suggestions from fans. In addition to the San Jose Earthquakes soccer team, you will find several other local Bay Area sports teams in action. We have several professional teams, which allows you to catch a game all year long. San Jose Sharks: Another San Jose sports team is the Sharks pro hockey team. This NHL team plays from October to April. Click here to learn more. Golden State Warriors: If you love basketball, make sure to head over to Oakland to catch a game with the Golden State Warriors. They play from October to April. Click here for this year's schedule and details to attend a game. San Francisco Giants: The SF Giants baseball team is another popular local sports team. They play at Oracle Park (formerly AT&T Park) on the southern side of SF. Click here for their schedule and tips to attend a game. SF 49ers: Just north of San Jose, you will find the San Francisco 49ers football team, which now plays at Levi's Stadium. Their season is from August to January. Click here to learn more. More Sports in the Bay Area: If you are looking for additional pro and college teams in the Bay Area, click here for a quick overview of all of our local teams and more information on their current schedules.